We need a good night's sleep to have the energy and drive  we need to face the challenges of day-to-day living. The ideal length  of sleep varies according to age. 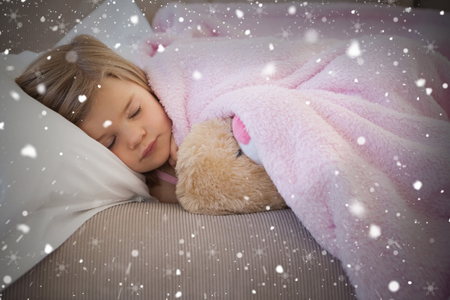 Children need more than eight hours' sleep. Teenagers should not have fewer than eight hours' sleep. Among adults, the ideal time can vary between six and eight hours. In recent years a lot of researchers have studied the benefits of a good night's sleep. Besides being refreshing , sleeping well relieves  stress, enables  us to think better and concentrate more, and it improves our memory. Science has proved what our grandparents  told us - sleeping is good for the skin and makes us more beautiful and youthful. On the other hand, when a person cannot sleep or sleeps only a few hours a night, a lot of damage is done. A person gets grumpy , loses their drive, feels angry and tired, and also gets bags  under their eyes. Poor sleep can also make you emotionally unstable and even affect your immune system. A good tip to improve the quality of your sleep is to avoid heavy meals at night and to avoid drinking beverages with a high caffeine content, such as soft drinks and coffee.